As Jane Hirshfield makes us aware in her book Ten Windows (2015, Alfred A. Knopf, New York), just as in American poetry, between the early 1950s’ formal meter and rhyme and the late 70s use of language akin to the abstract expressionist use of paint, there have been revolutions by the Beat poets, the confessional poetry of Lowell and Plath, and the “deep image” poetry of Robert Bly, in Bashō’s lifetime poetry went through transformations oddly parallel. 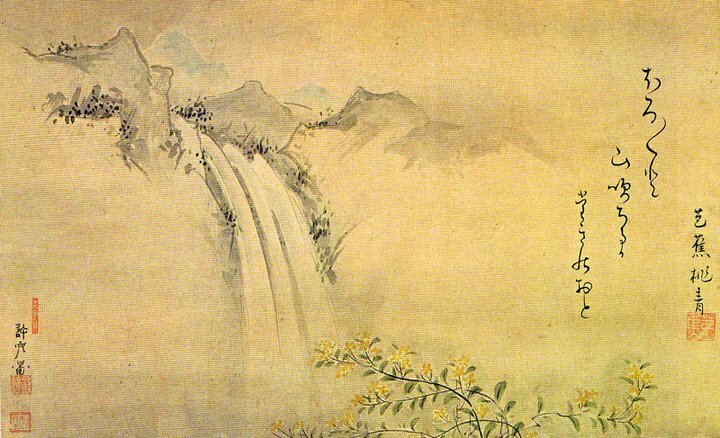 All forms of Japanese poetry continue to go through similar changes, a natural part of poetry’s life, keeping it vibrant. This includes the haibun form. In the Poets Online blog, there is a piece about Jeannine Hall Gailey and her collection of haibun, She Returns to the Floating World, in which she explores motifs in Japanese Folk Tales. Though the poems are based on traditional content, they are ultra modern in form. Her poems are spoken by characters from mythology, fairy tales, animé and manga. In the current volume, Volume 9, of Haibun Today, a quarterly journal online, with its founder Jeffery Woodward as General Editor, Juliet Wilson of Scotland writes of ‘Night Fishing’ in a purely objective, haiku-like manner , Lynn Rees of England reviews Ethiopian Time by Bob Lucky, offers a haibun from the collection called ‘Dead Cat’, and a well-thought-out piece by Guy Simser of Canada called ‘Dilly-Dallying Over a Drying Creek Bed’, complete with references to being taunted by Dali’s waxed moustache. In A Hundred Gourds: A haiku, haibun, haiga & tanka poetry journal (online) Mike Montreuil , editor of the haibun section, has published a haibun by Marco Fraticelli about a dream in which he is Suzanne telling off Leonard Cohen for what he has done to her by writing the famous song, along with the dream Leonard justifying its writing. Lynn Edge of the United States writes of being bored enough to watch The Batchelor on television. All of the above are interesting, well-written, absorbing haibun in contemporary mode; little of the prose is deeply emotional, or about travel, or life story although the volume does include several of these. But because haibun is poetry and poetry has a life, it continues to be innovative and must risk veering from the traditional forms. This is not always appreciated. In the current volume of Haibun Today, June 2015, Ken Jones of Wales, former co-editor of Contemporary Haibun Online, is concerned about the current shift in haibun styles. However these new styles do exist and are being accepted by excellent editors. The best way to keep up with what is happening in this particular form is to bask in these online forums. You can also keep up with what Bashō might be writing if he were alive today, as A Hundred Gourds and other journals have a wondrous selection of modern haiku and all Japanese forms.